Well, Elyssa, here’s the short answer: pretty much anything. 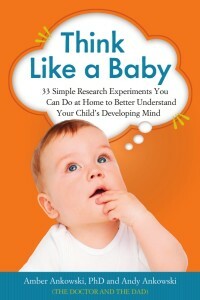 When it comes to your child’s brain development, the fact is that almost any activity you do with her is better than plopping her in front of the TV. 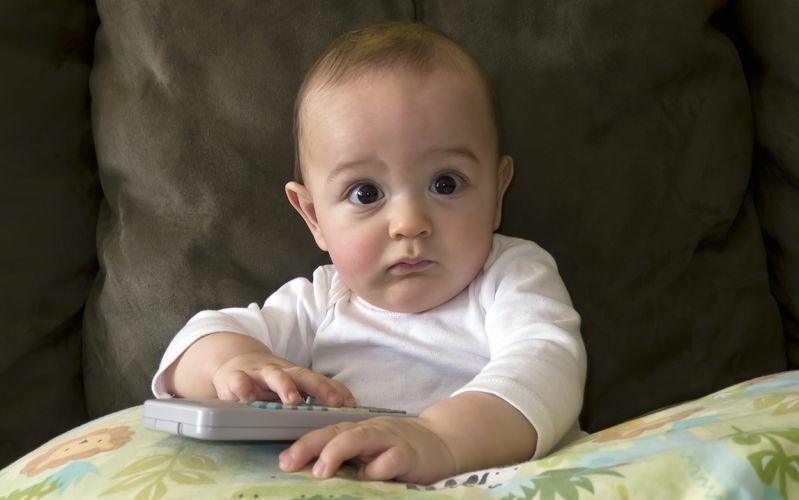 Studies show that kids who are exposed to more television have smaller vocabularies – which is bad for all sorts of reasons, including that language development is linked to reading skills. So the stronger your child’s vocabulary is early on, the better prepared she will be to read later. We know what you might be thinking: “Well, half the time the TV is on, but no one is even watching it.” Unfortunately, it turns out that even when the TV is on only in the background, parents tend to speak less to their kids – which means that kids are learning fewer words. So your family would be better served just switching the set off. But that doesn’t mean you have to be a total TV Nazi either. We know that sometimes parents just need some “me” time – the kind that only 46-plus inches of plasma can buy you. That’s why TV is used strategically in our house to occasionally reward good behavior, create fun family movie nights, or this. 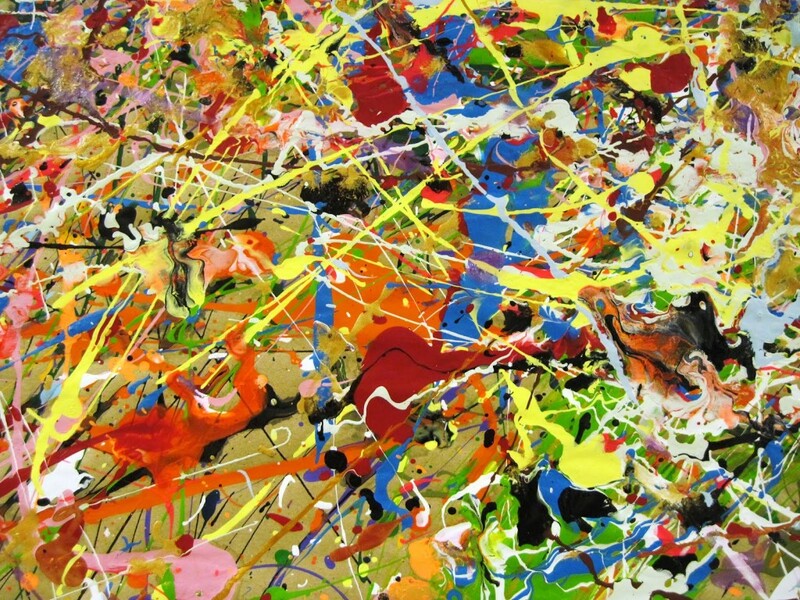 Four-year-old’s art project, or Jackson Pollock painting? We used to be intimidated by art, thinking that we had to have a “plan,” or be making something specific. 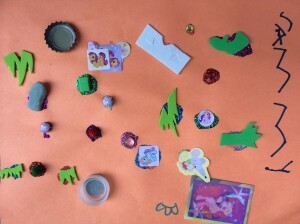 But then we realized that we can just bust out a whole bunch of art supplies – paper, stickers, glue, markers, googly eyes, cotton balls, stamps, paint, whatever – and let our kids go to town. It’s low effort and everyone always has fun. Of course, sometimes it’s high mess, but that’s what paper towels are for. Games are great for building kids’ vocabulary and math skills. Plus, bringing back family game night is a totally cool, retro thing to do. Jackson Pollock painting, or three-piece duck puzzle? Kids love puzzles and they’re great for building spatial and critical thinking skills. Help your kiddos get more out of their puzzle practice by letting them struggle through the tough parts a little before jumping in to help. And keep a variety of puzzles on hand – from a three-piece picture of a duck to a thousand-piece Jackson Pollock painting – to make sure your kids will always be challenged. This is another messy one, but it’s also really fun. Baking is a particularly great time to get some good number talk in. Read the recipe out loud and discuss measurements as you go. For more tips on fun activities for kids, check out the whole section of our website we’ve devoted to Playtime!